After putting on her first pair of tap shoes at age 5, Erin has trained in dance, theatre, voice, piano and music theory for the last 25 years. Graduating from WAAPA with a Bachelor of Arts in 2005 and holding her Associate of Trinity College London (ATCL) in Classical Voice, she has worked in the Australian performing arts industry in many capacities for the last decade. Erin is also a graduate of the Talent Development Project (TDP) and a recipient of the prestigious TDP/ASCAP Bound for Broadway scholarship. Professional theatre credits include TML’s Fiddler on the Roof (Sprintze/Chava cover), Love Never Dies (ensemble/swing/ Fleck cover), CATS Australasian Tour 2008-2010 (swing; covering and performing Bombalurina, Demeter, Rumpleteaser, Jellylorum, Jennyanydots, Sillabub, Tantomile and Grizabella) CATS Manila and Taiwan 2010 (Jennyanydots/Jellylorum/Griddlebone). 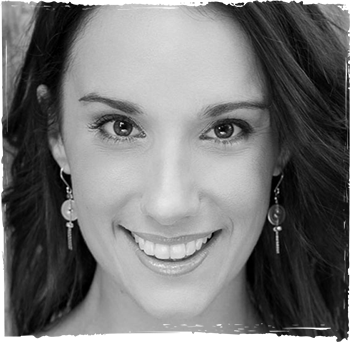 Erin has worked three seasons with Opera Australia, first as part of the acclaimed Australian tour of South Pacific (Dance Captain/Nellie cover) and most recently in the cast of The King and I. She also appeared in the charity performance of Side By Side By Sondheim presented by Enda Markey at Sydney’s Theatre Royal, featuring Ruthie Henshall. Erin has also appeared as a vocalist in corporate events across the country and in cabaret. Erin’s silver screen debut as Monica in Josh Lawson’s The Little Death earned her critical acclaim around the world, as well as an AACTA Nomination for Best Supporting Actress in a feature film. To keep herself busy, she occasionally works as an Auslan interpreter, a high school music teacher and is also studying law. Erin is a proud member of Equity.